While new research and medical advances are always being made in the field of breast cancer, the most important prevention factor for each person is their lifestyle. According to breastcancer.org, 90 percent of breast cancers are largely due to lifestyle and environmental factors. To keep your risk as low as it can be, maintain a healthy weight, exercise regularly and limit the amount of alcohol you drink. Many ideas, some true and some false, surround breast cancer. This can make it difficult to know exactly where to focus your energy in prevention and early detection efforts. There are three ideas that are merely myths and will not help in prevention and early detection efforts. Dr. Anna Katz, a breast surgeon with Advocate Medical Group at Advocate Condell Medical Center in Libertyville, Ill., explains these myths. Myth 1: Eating soy causes breast cancer. Due to the high levels of estrogen-like compounds found in soy products, people have been fearful of soy’s link to breast cancer. The truth. Current research shows there is no correlation. In fact, according to the American Institute for Cancer Research, soy foods are good sources of protein, and many are also good sources of fiber, potassium, magnesium, copper, manganese and polyunsaturated fat, both the omega-6 (linoleic acid) and omega-3 (alpha-linolenic) types. Myth 2: Using antiperspirant and deodorant can cause breast cancer. Due to aluminum-based compounds and parabens once found in antiperspirants and deodorants, studies have been done to see if there is a relationship between the personal care products and breast cancer. The truth. Researchers at the National Cancer Institute said the findings of these studies are not conclusive at this point. 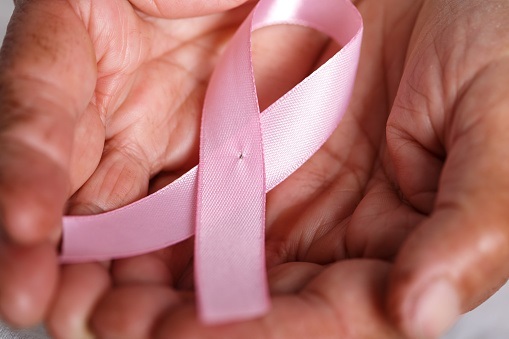 Myth 3: I only need to be concerned with my mother’s breast cancer genes. People falsely assume they only need to be concerned with the hereditary risks from their maternal genes for breast cancer. The truth. Research shows the risk is just as high from the paternal genes. “The only modifiable factor for breast cancer prevention is to have a healthy Body Mass Index [BMI],” says Dr. Katz. She urges everyone to exercise and eat healthy in order to control their BMI. Additionally, screenings and early detection such as mammograms are the key to early detection. To learn more about breast health, please visit Stories of the Girls.